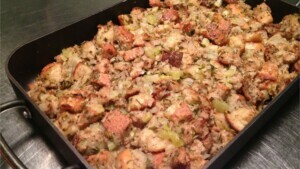 This traditional stuffing is holiday perfection in a pan, filled with cubes of healthy bread and all the fresh herbs of the season. It is sure to please your family when topped with Protective Diet Mushroom Gravy. Copyright ©2019 Protective Diet LLC All rights reserved.